Why Don’t My PPC Ads Convert? A successful PPC campaign requires a number of different elements to make it successful; whether you need more leads, sales, or brand exposure. In this discussion, we’ll talk specifically about PPC “lead gen” campaigns which are designed to capture someone’s email address or encourage a phone call to your business. One of the biggest challenges when it comes to generating leads is converting those visitors once they land on your website. Hopefully your PPC ad campaign was set up effectively and targets the right keywords, the correct locations, and uses ads that accurately reflect your business. Let’s say you have all of these things in place and you’re getting great search traffic that is landing on your website for your desired keywords, yet the majority of your traffic isn’t converting. Please read and memorize this: A MAJORITY OF VISITORS FROM PPC CAMPAIGNS WILL NOT CONVERT! 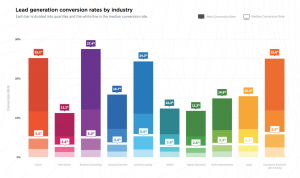 In fact, a 1 in 4 conversion rate (25%) is extremely good in most industries and cases. 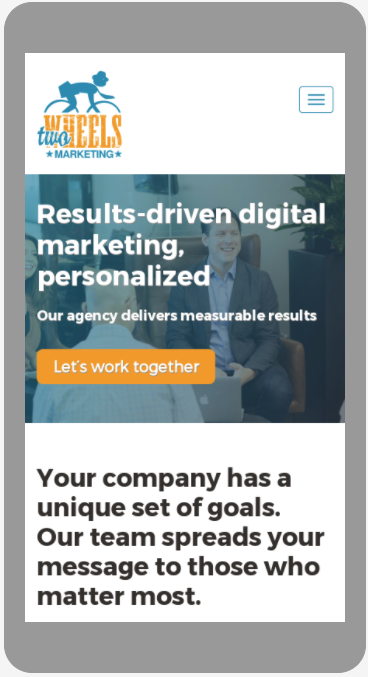 Leading campaign landing page company Unbounce (who specializes in providing landing pages that convert at better levels than your normal site) reported that of their clients, a 12% conversion rate was better than 90% of competitors’ conversion rates. In fact, in the eCommerce industry, the average conversion rate is historically between 2-4% of all traffic. So, before you begin freaking out that 9 out of 10 visitors do not “convert” for your lead gen PPC campaign, know that it is normal and you may see this type of data. Now, some campaigns we run have much better conversion rates — 25% or more — and some have been worse than that — under 10%. And it certainly varies by industry and client. This study (conducted in 2017) and graphic courtesy of Unbounce.com. If you are a university, your average PPC conversion rate is 2.6%, with “best” conversion rates in the 11.5% range. Granted, you have to remember here that this report is done by a lead gen landing page company, so the pages that campaigns are being sent to are already better than the average website or page a person sends their campaign traffic to. If you are in the legal field, the average conversion rate is 3.2%, with the “best” conversion rates in the 15% range. Just because most people don’t convert from PPC to leads, it doesn’t mean that you (or your PPC firm) can use this as an excuse for having low conversion rates. We’ve worked with many clients in different industries and are always working to help them improve the landing page experience to convert more users — especially if they are paying for the traffic. Below are some reasons why you may not be converting, and considerations for improvement. 1. You’re sending traffic to your homepage vs. a dedicated landing page. Most companies don’t realize how cluttered and unfocused their homepage is. It can have many items on it that distract a user from doing what you want them to do: contact you! A dedicated landing page helps to reduce clutter, simplifies the messaging, and provides an easy way to contact your company via a mobile click-to-call, or an easy form for them to fill out. 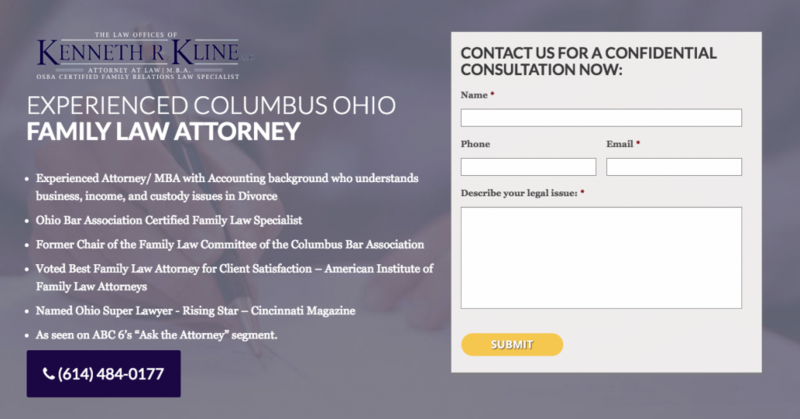 This simple landing page makes it a breeze for potential clients to contact this attorney: 2. Your website is not mobile friendly. This is a huge one. Many companies assume that most of their traffic comes from those searching on their desktop or laptop computers. In some cases, this may be correct, but when it comes to many service-oriented businesses (especially locally), most people will conduct their searches using a mobile device. You need to ensure that your website is mobile-optimized, easy to read and navigate, mobile click-to-call functionality works, and the website contact form works well on a mobile device. Is your website mobile-friendly? Google has a free tool you can use to check the friendliness of your website or landing page. 3. Your website takes forever to load. Many people don’t have the patience to wait for a slow webpage to load. In fact, if they get frustrated with the load time, they will simply click back to the search results page, then click on the next best result because they don’t have time to wait around. Don’t just take our word for it. Make sure your website and mobile version of your website or landing page loads as quickly as possible. Every millisecond in delay can have a negative impact on your conversion rates. 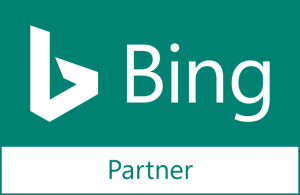 Targeting the wrong keywords — Are you using all “broad” match keywords for instance? This can lead to a lot of wasted spend on keywords that aren’t aligned with your goals. Running ads on the wrong days/times — Are you getting a lot of clicks on Sunday when your entire team is out of the office? Consider pausing ads on weekends. Your ad messaging doesn’t align with the messaging on your landing page or the keywords you bid on. Make sure your ads give some indication to what a person would read once they land on your website or landing page. If ad messaging doesn’t align with the search the person originally conducted, and then the landing page doesn’t provide additional information related to the ad, you are providing a bad experience for a visitor, and they may leave. Using the wrong campaign — Are you running just “Search” campaigns or wasting money on “Search and Display Select” campaign settings which can run your ads on websites that may not be aligned with your brand? There are many additional settings and considerations within the campaign setup for your PPC campaigns, so you may just be getting a lot of un-targeted traffic that would have never converted in the first place! 5. Lack of Branding. Why do Fortune 500 companies invest so much into branding? Because they know how much branding influences purchase decisions. For a company doing PPC marketing, having a well-established brand makes it easier to convert those visitors into leads or customers, because branding influences how you think of that brand. You likely trust them more just because you have heard of them. A virtually unknown brand (in any industry) will have a harder time converting a new visitor simply because the person hasn’t heard of them before. When shopping for car insurance, do you inherently trust Progressive Insurance more than Quote Wizard? Industry SEO/PPC thought leader MOZ indicated that lack of branding is the #1 reason Paid ads on search or social fail. 6. External factors. A searcher may just simply be in “research” mode and not ready to contact someone. When someone conducts a search on Google, there are varying levels of search intent. Someone searching for a “Subaru Forester 2018” may just be starting their journey on looking for a new car, and subsequently, visiting a lot of different websites in their initial “discovery” stage of search. So, they may not convert right away. A person searching for “best price for 2018 Subaru Forester” is a much different person. They are actively looking for the dealership that will give them the best price on a car they have already done research on and likely test-driven. The point is, depending on your campaign or keyword, many people are just “kicking the tires” and are in research mode. They may not be ready to contact someone or add their name to a mailing list. That’s not necessarily a bad thing, it just means they aren’t ready yet. At the very least, this person now knows about your company. 7. Other external factors, like their kid spilled milk on their keyboard. This is not really a joke, but the point is, any time someone conducts a search online via their computer or their phone, they may get distracted during the process. How many times has it happened to you? You are doing research on something, you click through on this site, you click through on that site, you go back to the site you were at three pages before, and then your dog barks and you have to take them out for a walk. You totally forget where you were or what you were doing, much less the website you were on. This happens all the time and so if someone clicks through and doesn’t convert, they may have just been distracted. That’s just part of the cost of advertising. It’s a simple fact that most PPC campaigns have conversion rates at or below 10%, with many outliers in either direction. And that makes sense, not every person is ready to commit to contacting you for your services at that time and there may be a number of other website-centric issues at play as mentioned above. However, this is not an excuse for settling for low conversion rates. You or your PPC firm should always be looking for ways to improve conversion rates — whether it’s through improved campaign optimizations, a better landing page, or better offer. Because of all the reasons above, you want to ensure that you set up and run “remarketing” campaigns to remind people of your brand and website and encourage them to come back. Who knows, their child may have just spilled milk on their keyboard while they were on your website!